Biscuit wants to go to school. He wants to go to class, have a snack in the cafeteria, and hear a story in the library. Most of all, Biscuit wants to meet the teacher! But dogs aren't allowed in school. 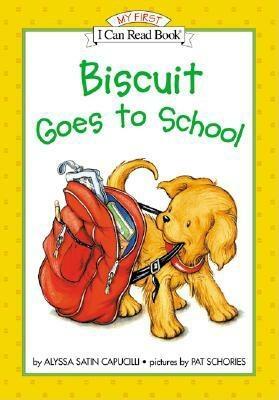 What will happen when the teacher discovers Biscuit? The little yellow puppy's adventure perfectly captures the excitement of a young child's first day at school!